Pup and Cat Co. | Sponsor a Dog: Urgent requests! 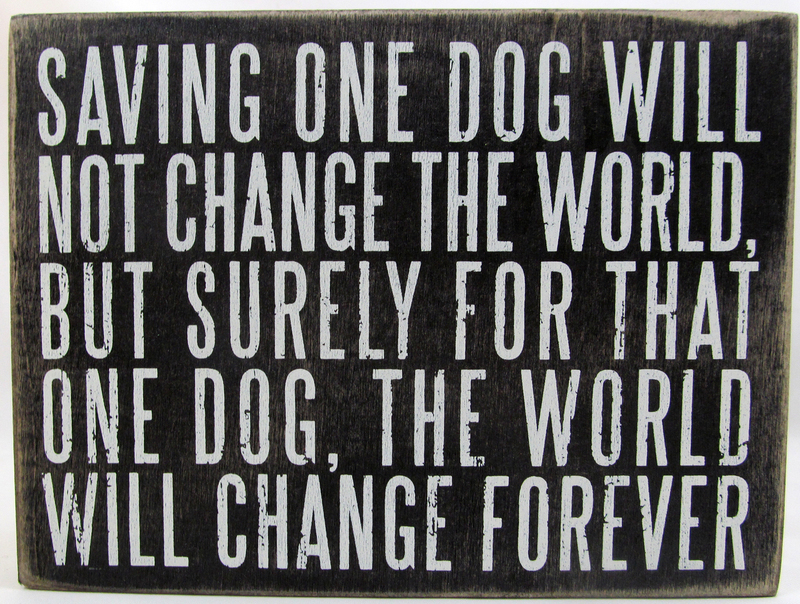 Always wanted to foster a dog but don’t have the resources to take a dog into your home? How about becoming a dog sponsor instead? We are urgently in need of sponsors for several of our dogs below. Sponsorships can be for any amount and any amount makes a difference. Our sponsorships are as easy as: 1. Pick the dog you wish to sponsor (see urgent list below or visit our full list of adoptable dogs here). Click on dog’s photo below for more details about the individual dog. 2. Choose “add to cart” under dog’s description and then scroll up to see your cart. If you are generously donating more than $25, please click the increments in the cart to get to your desired total. You can add multiple dogs to the cart by clicking the cart under the next dog you wish to add. 3. Checkout and submit payment through paypal to send your tax deductible sponsorship gift. 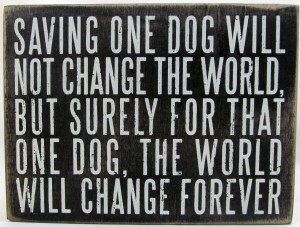 Our goal is to get each dog sponsored for $250 per month to cover boarding. The carts $ can be increased by increments of $25. So any combination of 10 sponsors at $25, 5 at $50 through 1 at $250 can chosen. We would like to show our appreciation and acknowledge sponsors on the dog’s profile. If you can sponsorship on an ongoing monthly basis OR if you submit $250+ to be the only sponsor for the dog for a full month please send us a email with your name (or family names as you would like them to appear) and amount/duration of your sponsorship so we can list you as the dogs ongoing or month sponsor. You can prepay a multi- month sponsorship at one time to be applied over several months. OUR CURRENT URGENT SPONSORSHP NEED. The following 5 dogs below are currently not in foster care and reside at local boarding facilities. Many of the dogs were pulled from urgent and dangerous situations where Pup & Cat Co. did not have time to secure a foster home before taking in the dog. While we appreciate the great care that these rescue dogs are provided, the boarding costs for these dogs are a significant monthly cost until the pet can be placed in a foster or forever home and we are very short on funds to pay these ongoing costs. 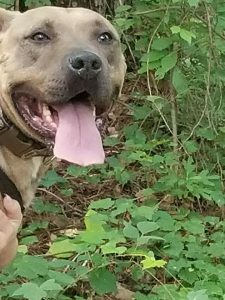 We understand that not every supporter has the resources to take a foster dog into their home but we hope that you will consider becoming a “virtual foster parent” by sponsoring a dog for all or part of his/her monthly care. Our ultimate goal is to find permanent homes for all of our special sponsor dogs. If a sponsor dog is adopted, funds will be applied to another one of the dogs in need. Thank you for your help, it is sincerely appreciated. Lestat is heart worm positive and will undergo treatment soon. Thank you to everyone who has stepped up to contribute and sponsor Lestat. Lestat is on his way to recovery and has a new home. Thank you to Randi Minor and Lee Bruner for your sponsorships. Lestat and the PAC team are truly appreciative. Our sweet, fun loving long term resident, Treasure, needs a sponsor. He is currently living in boarding until we can find him a permanent home that suits all his needs. Treasure is very loving and playful but does not get along with little dogs or cats. 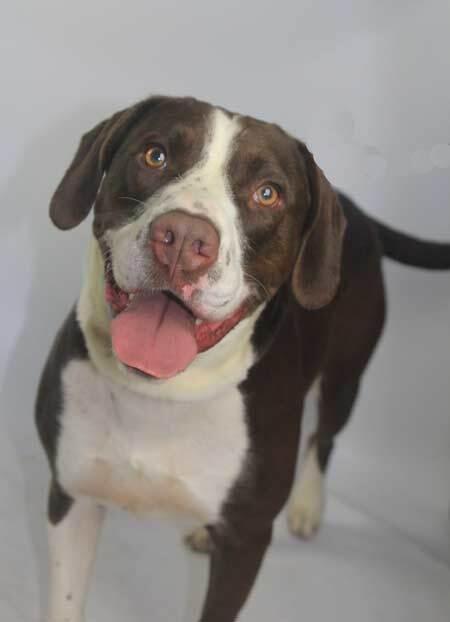 CHARLIE, is a beautiful Hound/Lab mix boy….strikingly marked with his deep chocolate coloring. 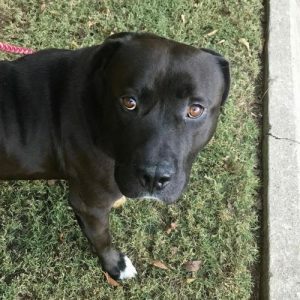 He is approximately 3 year old, housebroken and gets along with most other dogs. He’s a very energetic boy so definitely will need a fence. He was relinquished because his people had health problems and he was too much for them to handle. He’s looking for that new and forever home. Can you help Charlie Boy with a sponsorship? A sincere Thank You for your interest in sponsoring a Pup & Cat Co. Dog. We can not continue to do rescue work without your support.